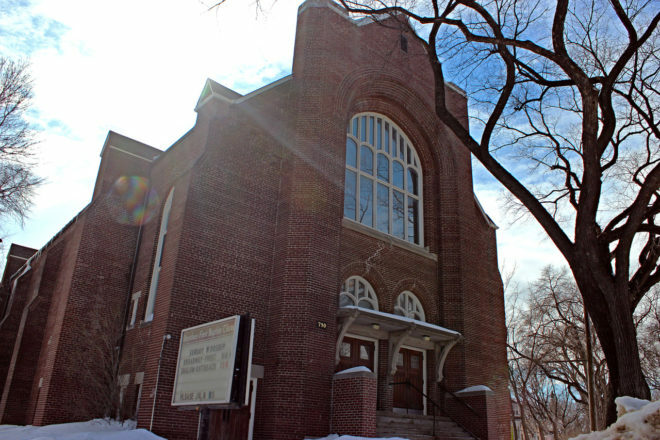 Built in 1914, this beautiful red brick building replaced the old wooden structure to serve this congregation. The interior of the church features a soaring ceiling with dark wood rafters and decorative wood arches, stained glass windows, and a 1927 Casavant Frères pipe organ, still in use since its installation. Much attention was paid to details, such as the “Trinity” carvings on the ends of the pews, and door knobs reflecting the shape of the windows. We will be featuring two short organ concerts at 12:15pm and 1:15pm, with an opportunity to chat with the organist. Guided tours will run every 30 minutes from 11:15am to 4:15pm, lasting 30 minutes, maximum 15 participants. No tours at 12:15pm and 1:15pm.